Want to make you friends that talk about how good they can grill a steak envious? Here is a dish that will have them on their knees begging to learn from the master! 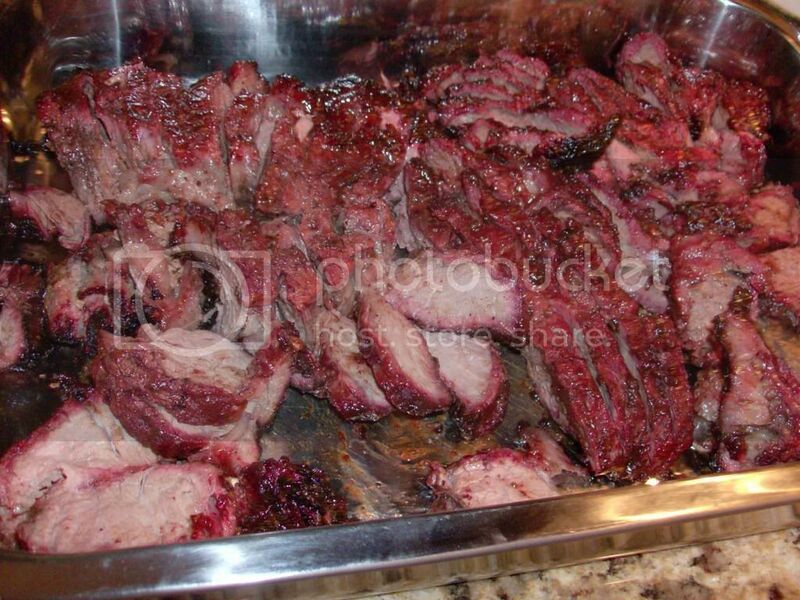 Chuck roast is a middle of the road cut of meat and does not have the same stature as some of the other primo cuts. However it does have good bit of marbling and does well in the high smoking (250 degrees) to low BBQ (300 degrees) temps if you prepare it right. 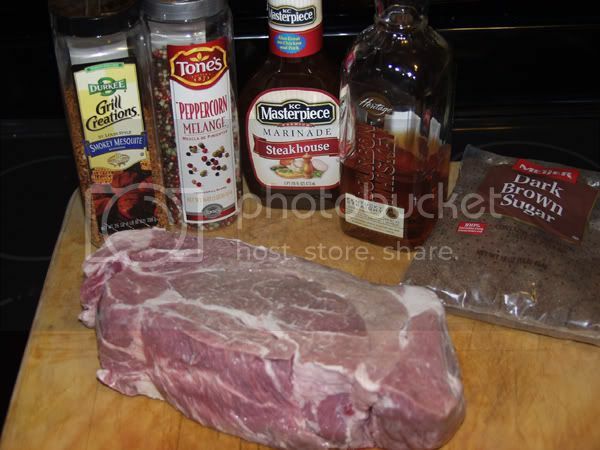 Mix 8 ounces of the steakhouse marinade and 2 ounces of the bourbon in a Ziploc bag and place the chuck roast in the bag for at least 8 hours of marinating before smoking. Preheat you smoker to 250 degrees. Place all of the dry ingredients in a bowl and mix well. 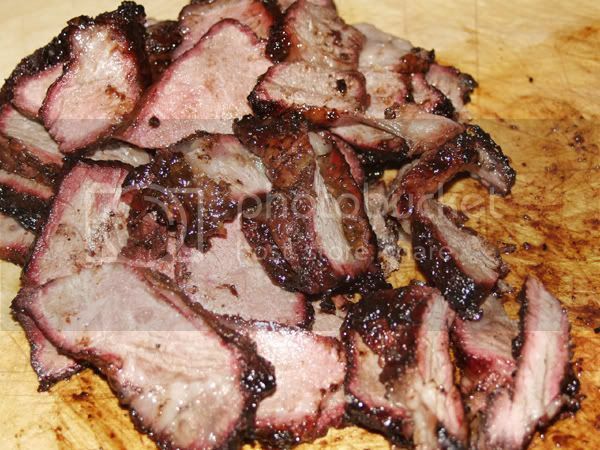 Apply the dry rub to the marinated meat from the night before. 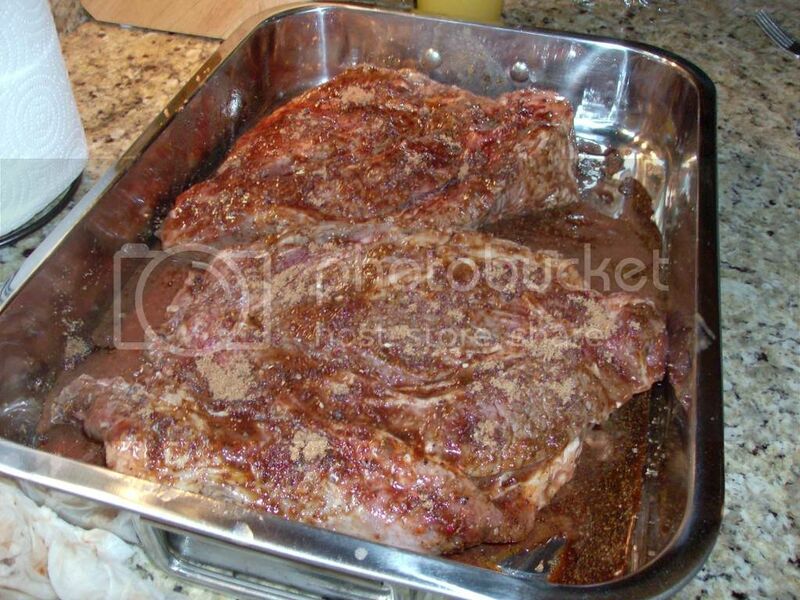 Cover the entire meat with the rub. 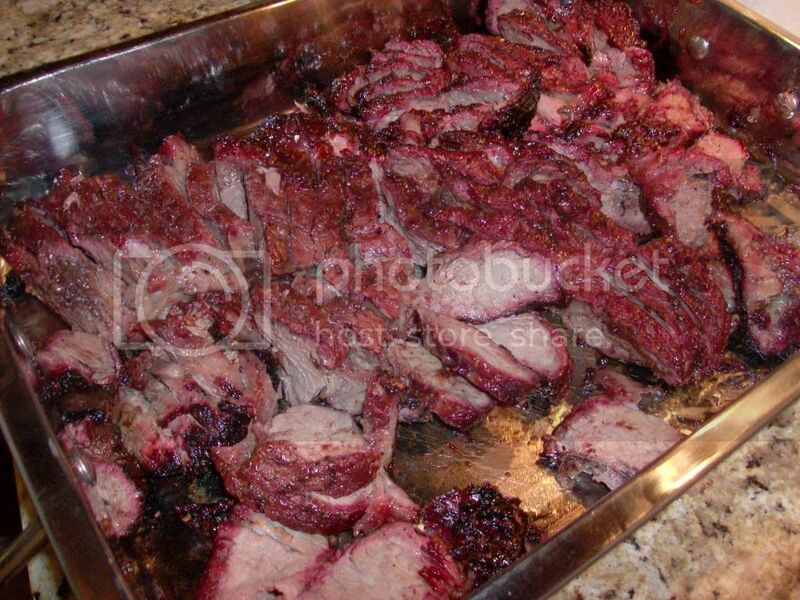 Mix the remaining bourbon with the unused marinade and use as a basting solution after the first hour in the smoker. 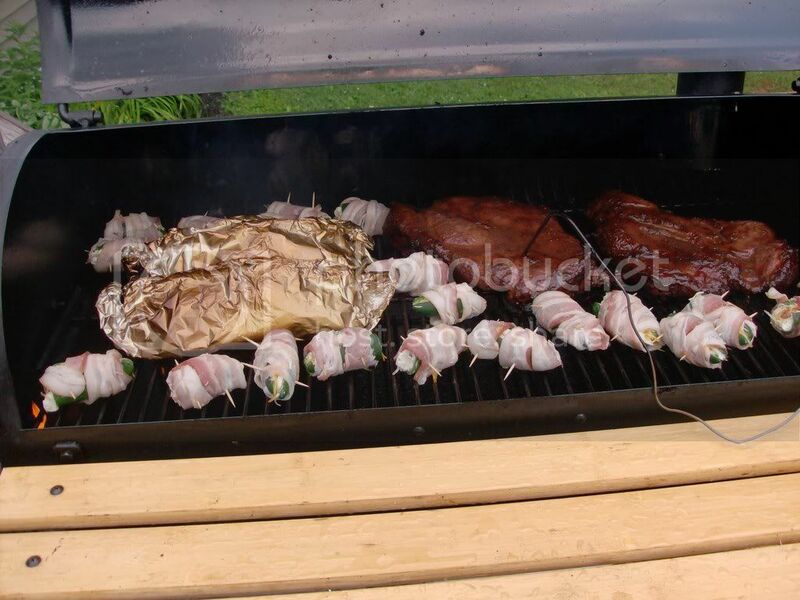 Baste every � hour until done. 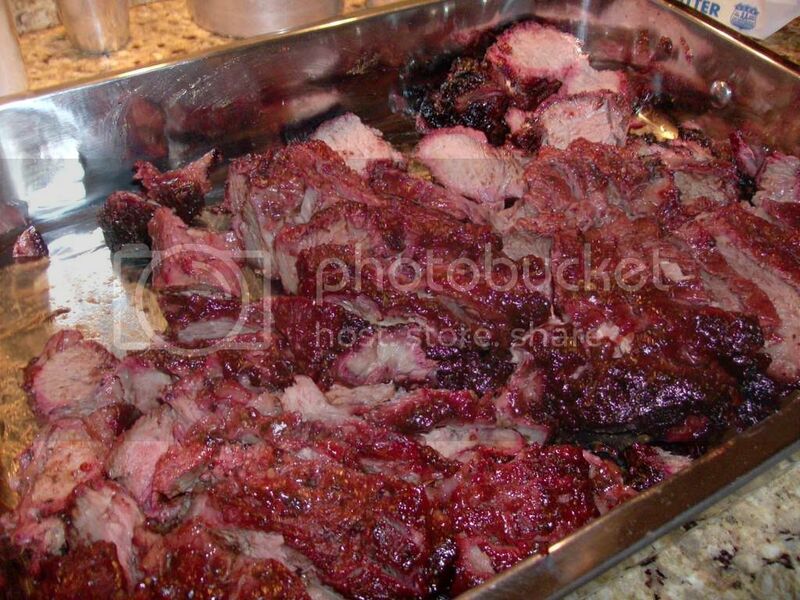 When the meat is done, allow it to rest for 20 minutes to allow the juices to redistribute. 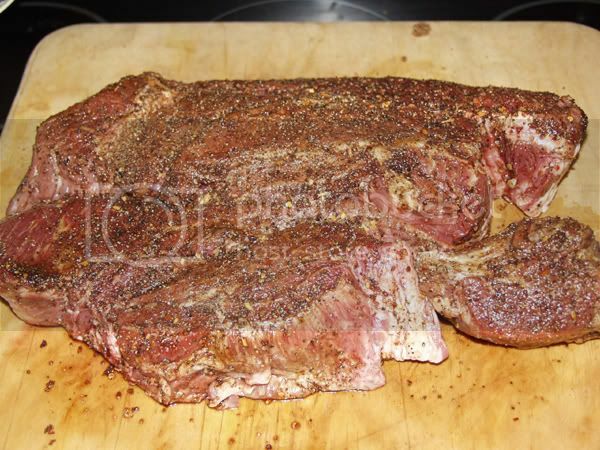 Slice into steaks or strips 3/8 inch thick. While the meat will be great, the bourbon and steakhouse glaze is out of this world. The two layers of flavor complement each other and you can not get the texture and flavor such as this on a regular grilled steak! Oh my gawd, that looks fantastic! I'm about to drown in drool right now. 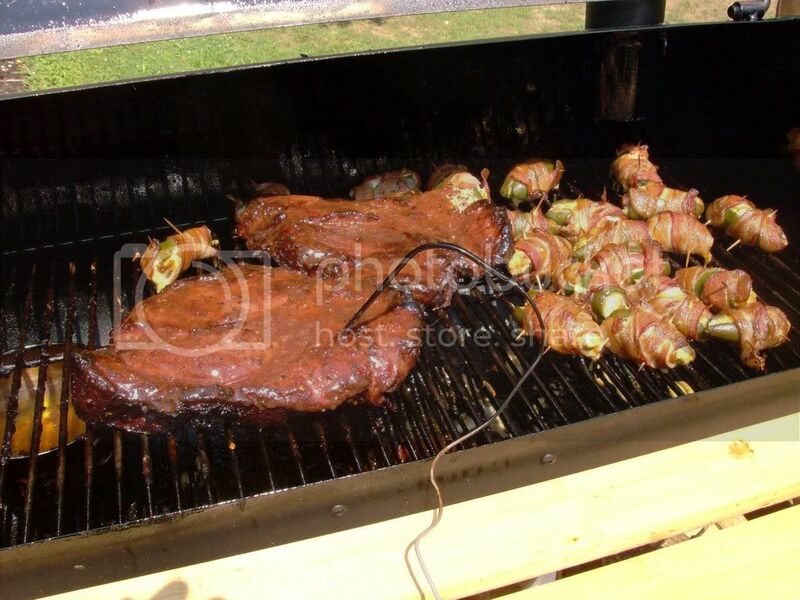 Alien Buddy, I will try this, this weekend and probably do it during OUR National Championship game day feast!! GO GATORS!!! My menu is planned for Sunday! Thanks for the recipe! Now I know why I'm at the butcher shop on the way home. that looks amazing. can't wait to try it. I'll second that! 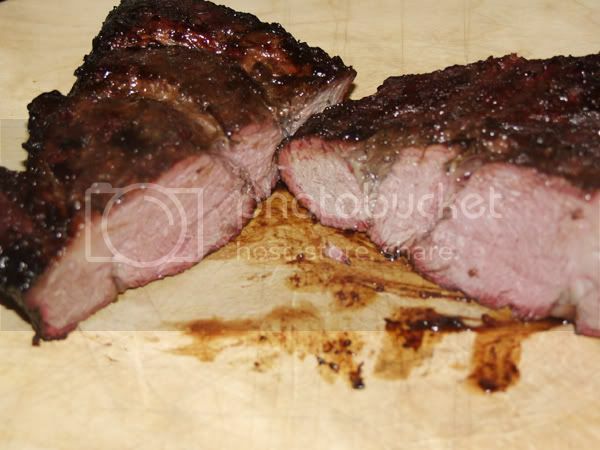 I love a chuck roast and that one looks awesome! Can't pass this one up.......gonna' try it Saturday and can't wait !!! I FINALLY got around to tryin this out today - those pics just drew me in..LOL. The flavor was really good - the sweet of the brown sugar really kicked in for me. The only thing I didn't care for was the cut of meat - I think a tri-tip or something similar 'might' be a better choice. I did a 5 lb Chuck Roast as the recipe called for - but my wiffe thought it was too fatty etc and my crew (who usually make it over for Sunday BBQ dinner) thought the same. Not being mean - just offering feedback. Otherwise, very nice recipe Alien!! No problem, just go with a more lean cut. I don't know how you do it - but you sure do come up with some really cool unique recipes - keep up the good work and thanks! I think those honey spiced ribs are next on my list - if you'd stop posting the food pr0n, I wouldn't have to cook as much - LOL!! Low and slow that is the tempo! Hey Alien, I made this with a 3 pound chuck and it was just DYNAMITE! My four year old daughter gourged herself on it like a bird of prey over a carcas! I started my fire with lump and the cooked the roast with white oak. Whiskey and oak in the cask and on the Q.
I served it with baked sweet potatoes and roasted squash. Awesome. Wonderful recipe as usual. I can't wait to try this one. Funny thing about your recipes -- I never go looking for you. I just look down the list and see something that looks good. 9 times out of 10 it turns out to be one of yours. how many the 5 lb. will feed? You can use a pan or not. 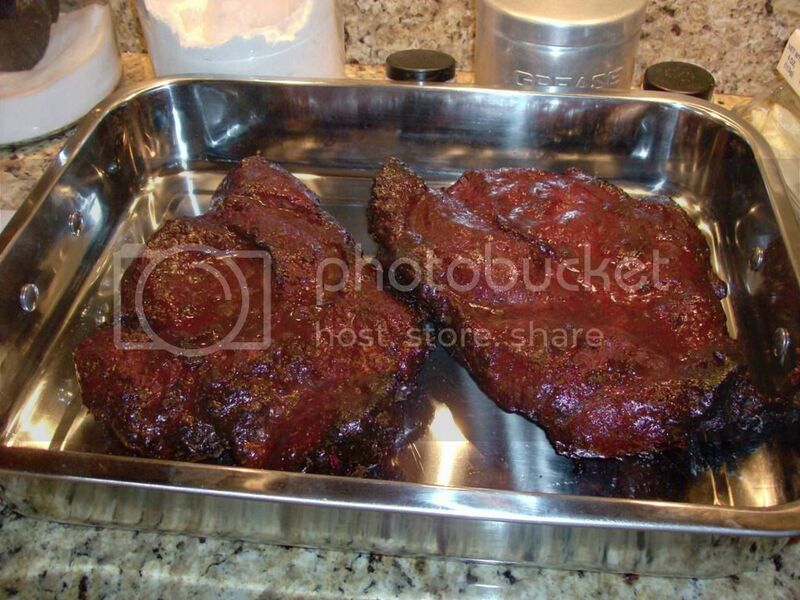 Many folks will place a pan under the meat and not in it. 5lbs will feed 4-6 people depending on how hungry they are. How I spent my Sunday & thanks to AlienBBQ for the recipes. They were delicious! !